Manassas, VA – Jerry Rose will receive the prestigious NRB Milestone Award during the Awards Dinner on Tuesday, February 25, at the NRB 2014 NRB Convention in Nashville, TN. The NRB Milestone Award is presented each year at the annual International Christian Media Convention to pioneers in Christian communications who have demonstrated exemplary service in the industry for five decades or longer. Television has been Jerry Rose's passion and calling for more than 50 years. This broadcast veteran serves as President and CEO of the Total Living Network (TLN). TLN has owned and operated stations in California, Illinois, and Nevada, and an affiliate group of more than 160 Christian television stations nation wide. The Total Living Network produces and delivers biblically relevant and compelling programs via broadcast, cable, digital, and satellite. TLN's programming also airs in several foreign countries. Under Rose's leadership, the Total Living Network has gained both national and international recognition. Among the awards received are 12 Emmys from the National Academy of Television Arts and Sciences (NATAS), and the Broadcast Achievement Award. 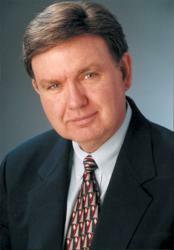 Jerry has been honored with a number of distinguished awards including the Chicago Broadcasters Silver Circle Award from NATAS for serving the Chicago broadcast community with excellence for more than 25 years. In 2001, he received the prestigious National Achievement Award for Radio, Television and Film from the Daughters of the American Revolution. He is also a recipient of the Gutenberg Award from the American Bible Society. He is the author of several books, including GPS - God's Plan for Significance: A Road Map for the Rest of Your Life. Rose has been a member of the NRB Board of Directors for more than 32 years and was on the NRB Executive Committee for more than 25 years. He served as the NRB President from 1988 to 1991. In 1994, he received the NRB William Ward Ayer Award in recognition of excellence and integrity and for outstanding and significant contributions to the field of Christian communications. TLN has received the following NRB Media Awards: 2013 Best TV Teaching Award; 2009 Best TV Talk Show; 2006 Best Broadcast Website; 2005 Best TV Talk Show; 2005 TV Station of the Year; and 1998 Award of Merit.